Uno Helmersson is an award winning Swedish composer whose credits include the worldwide hit tv series The Bridge, broadcast in more than 100 territories and for which he was awarded a Golden FIPA. Other major credits include the Emmy winning Armadillo documentary series following a group of Danish soldiers for 6 months in Afghanistan; Magnus, about the life of Norway’s Mozart of Chess directed by Benjamin Ree for Norway’s Moskus Film; Susanne Bier’s A Second Chance, additional score; Mikkei Norgaard’s The Absent One; and Zentropa’s Department Q film series. Uno’s other credits include Jordan Bayne’s award winning US indie movie The Sea Is All I know and Vibeke Idsoe’s Norwegian feature Løvekvinnen. He’s scored several shorts including Happy Tears, starring Alan Cummings and Chance of Rain both for Berlin’s FilmGym; Bobbi Jene for director Elvira Lind; Kiruna-Kigali for director Goran Kapetanovic; Lee Cronin’s Irish adventure Bill & Chuck and the fantasy Through the Night; the drama Before You Hit The Ground; and Jerker Josefsson’s Virus. 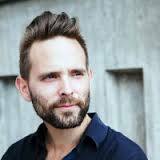 He has worked on some major award winning documentaries including Bobbi Jene; Mads Ellesoe’s The Child Soldier’s New Job; Michael Graversen’s Dreaming of Denmark; Nanna Frank Mollers’s A Civilized Country; December Film’s 1,2,3, Dance and Macbeth: Det Rode Rum.